As some of you may be aware, I’ve been taking a break from social media and online comms for personal reasons. Whilst this post doesn’t mark a return to blogging on a regular basis, it does represent an attempt to keep my toe in the water with the bookish community. I actually read this book at the back end of last year, but as it fits with Simon and Karen’s #1977Club (running all this week), I thought it worth posting today. Enjoy. 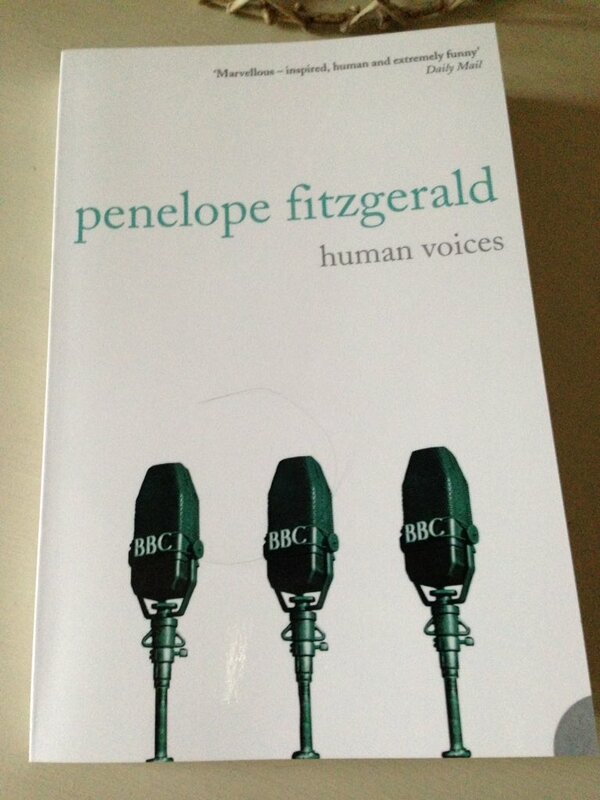 Regular readers of this blog may well be aware of my fondness for the work of Penelope Fitzgerald. 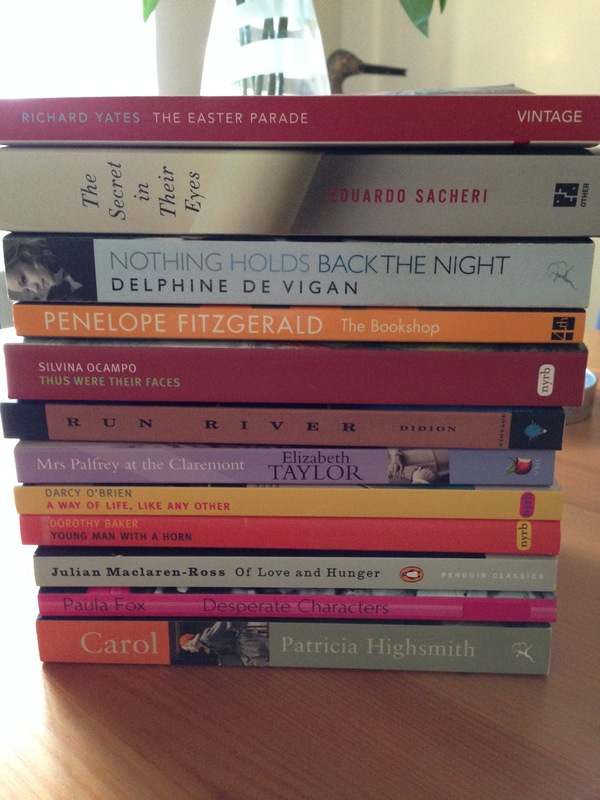 I’ve been making my way through her novels, not always in order of publication, over the past few years. The Golden Child (1977) was her first novel, a hugely entertaining tale of internal politics, mystery and mayhem, all set amid the most British of institutions, a prestigious London museum. We are quickly introduced to a variety of characters, most of whom are eccentrics, each with their own individual problems and concerns. There is Sir William Simpkin, the elderly archaeologist who rediscovered the Golden Treasure of the Garamantes back in 1913. A kindly man with the public’s best interests at heart, Sir William now resides in a private flat in the museum, kept on in the belief that he will leave his not inconsiderable estate to the Director, Sir John Allison, for the purposes of future acquisitions. For reasons which become a little clearer as the story unravels, Sir William refuses to visit the Exhibition in person. Instead, he is aided in his day-to-day activities by a ubiquitous warder from Stores, a faithful yet somewhat lonesome chap by the name of Jones, and a bright but long-suffering junior Exhibitions Officer named Waring Smith. There are other key players too, most notably the rather pained Hawthorne-Mannering, Keeper of Funerary Art, whose department has been saddled with the job of managing the exhibition. Hawthorne-Mannering, in his infinite wisdom, has taken a dislike to the diligent Waring Smith, viewing him, rather unfairly, as a potential threat to his own position. As such, he is on the lookout for an opportunity to put this junior Officer firmly in his place. By contrast, Waring Smith himself is a very likeable and amenable chap, forever putting the needs and wishes of others before his own desires. He is plagued by financial worries over his mortgage and the deteriorating state of his marriage to Haggie – a character who is brilliantly sketched by Fitzgerald even though we never actually meet her in person in the book. Anyway, back to those troubles in the museum. When Professor Untermensch, an independent authority on the Garamantian language and hieroglyphics, comes to visit the Exhibition, he reveals to Sir John, the Museum Director, his belief that the Golden Treasures are in fact all fakes. Good copies, but replicas nonetheless. Fearful of a potential media scandal on the horizon, Sir John shares this troubling information with Hawthorne-Mannering. So, Sir John faces a dilemma. Should he keep quiet about Untermensch’s theory in the hope that it doesn’t leak out? Or call in an independent expert to assess the Treasures in the faith that they are genuine? The obvious candidate is Sir William as he has first-hand experience of the relics; however, the old archaeologist cannot be trusted to keep quiet whatever the outcome of the assessment. Instead, Sir John has another idea in mind – to send a member of staff on an undercover mission to Moscow to show one of the ‘Treasures’ (a Weeping Doll) to another independent expert, Professor Semyonov, a man who is unlikely to make a fuss. It must all be done quite casually, of course, just to gauge the Professor’s spontaneous reactions to the Doll. And Hawthorne-Mannering has just the junior in mind: the young whippersnapper, Waring Smith. So, Waring is dispatched to Moscow, under the guise of a tourist on a Suntreaders package holiday – cue much hilarity as he tries to navigate his way through the duality of his situation. What follows is a series of rather surreal and oblique encounters as Fitzgerald spins a story of mystery, intrigue, murder and disorder – no wonder there is talk of The Curse of the Golden Child – with the action moving from London to Moscow and back to the museum again. It’s all beautifully observed and tremendous fun. Fitzgerald is particularly good at capturing the petty jealousies and rivalries that exist within the museum as various Keepers make their respective cases for funding and jostle for position within the hierarchical structure. There are some great elements of satire here giving the reader much to enjoy. The characterisation is excellent too, from the idiosyncrasies and foibles of Sir William to the brisk manner and efficiency of Sir John’s formidable secretary, Miss Rank. The ever-present Jones also deserves a mention here – he is spot on. In addition, Fitzgerald is marvellous when it comes to points of detail, those little touches which bring a story to life, even when some of the scenarios presented may seem quite absurd. The camaraderie and sense of solidarity amongst the queuing public; the pretty rules over who has access to certain areas of the museum; Waring’s fear of Haggie’s reaction when he knows he won’t be able to get home on time – I could continue. 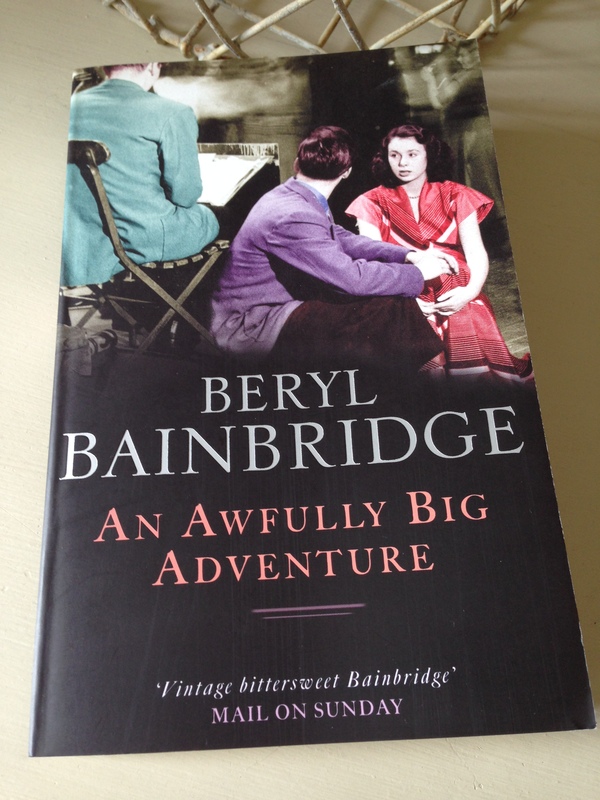 All in all, this is a most enjoyable novel, perhaps closest in style to Fitzgerald’s later work, Human Voices which is set in the BBC during the Blitz. (She is so good at nailing these somewhat insular communities, complete with the various eccentrics and misfits one finds within them.) The Golden Child may not be as focused or polished as some of her other books, but it is very, very engaging. All in all, a worthy addition to the 1977 Club. The Golden Child is published by Fourth Estate; personal copy. This entry was posted in Book Reviews, Fitzgerald Penelope and tagged #1977Club, #ReadWomen, 4th Estate, Book Review, Fiction, Penelope Fitzgerald on April 17, 2018 by JacquiWine. 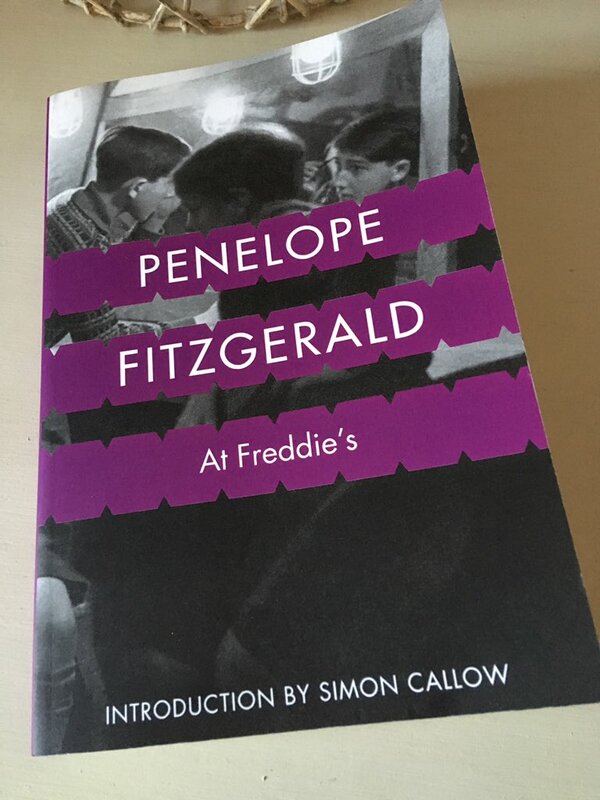 Having arrived late to Penelope Fitzgerald, I’ve been trying to catch up with a few of her novels over the past year or so. 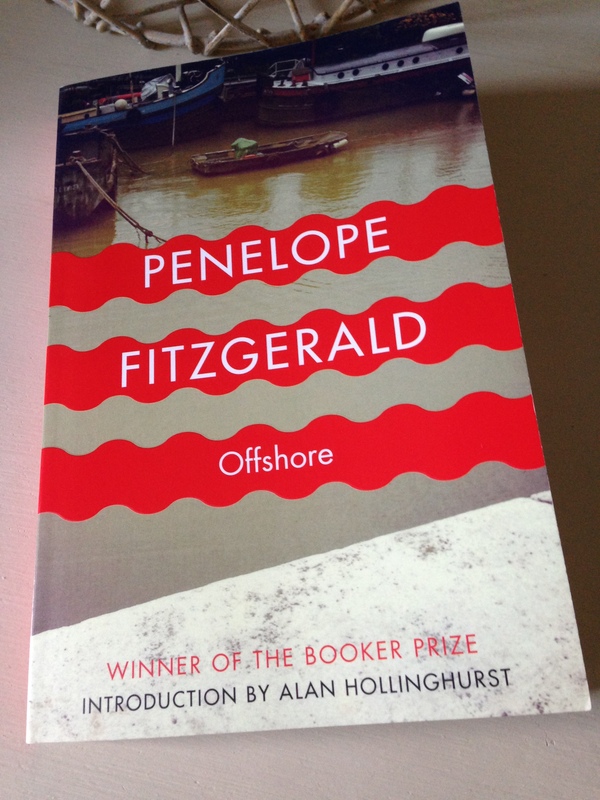 The Bookshop will make my end-of-year list, so I had high hopes for Booker Prize winner, Offshore, another novel that draws on Fitzgerald’s own life experience. Her time working in a Southwold bookshop informed the former while her years living on a barge on the Thames gave rise to the latter. First published in 1979 but set in the early sixties, Offshore features a small community of individuals who live on houseboats on the Battersea Reach stretch of the Thames. It’s probably fair to say that these boat dwellers are outsiders, unsettled characters getting by on the margins of society. Despite living within touching distance of the security and solidity of dry land, they remain vulnerable, somewhat cast adrift in life. The group’s somewhat reluctant leader is Richard, an investment counsellor and ex-Navy man who lives on Lord Jim, a converted minesweeper. Living alongside Richard is his ‘shires-bred’ wife, Laura, a woman who would much rather a nice house in the Home Counties, preferably something straight out of Country Life magazine. Dreadnought is occupied by Sam Willis, a semi-retired painter of maritime landscapes. Then there’s Maurice, a sympathetic, easy-going rent boy who allows his boat to be used as a repository for stolen goods. One or two others also feature, but the novel’s central character is 32-year-old Nenna, owner of Grace. Offshore ebbs and flows along with the lives of these somewhat fragile, lonely individuals. While the story touches on various situations that affect different members of the community, this is not a plot-driven novel. Instead, Fitzgerald’s focus is on her characters: their hopes and aspirations, their failures and compromises. Nenna’s marriage has broken down (possibly temporarily, possibly permanently) and she lives on Grace with her two children, Martha (aged 12) and Tilda (aged 6). Martha and Tilda are independent, resourceful creatures. Like the children in The Beginning of Spring and The Bookshop, they seem mature beyond their years. In the hands of another writer, this could have been a little gimmicky, but Fitzgerald uses it very effectively here. It gives a clear insight into Nenna’s mind – the way she thinks and how she sees her relationship with Edward. When Nenna finally goes to see him in Stoke Newington, things don’t go quite to plan. She finds Edward lodging in a single room in a house owned by the mother of one of his old school friends, hardly an ideal setting for a reconciliation. Things were going as badly as they could. From the room immediately beneath them, somebody began to play the piano, a Chopin nocturne, with heavy emphasis, but the piano was by no means suitable for Chopin and the sound travelled upwards as a hellish tingling of protesting strings. One of most impressive things about Offshore stems from Fitzgerald’s ability to treat her characters with sympathy despite their failings. She has a knack for conveying humour alongside the misfortune and calamities that touch the lives of these barge-dwellers, and yet there is compassion in her writing, too. While I didn’t love Offshore quite as much as The Bookshop, there is plenty to enjoy here. Each scene is beautifully observed. The novel has a strong sense of place, alive with the sights and smells of the riverside and glimpses of Chelsea in the early sixties. Fitzgerald offers just enough detail to give the reader a sense of each of her characters, their personality and outlook on life. Maurice is as amusing as he is hapless. There are touching exchanges between Nenna and Richard as they find solace in each other’s company. Willis’s attempts to patch up and sell his boat end in disaster – an impromptu party to celebrate the potential sale of Dreadnought is one of the novel’s delights. In some ways, Offshore reminded me a little of Mike Leigh’s films (something along the lines of High Hopes), and that’s no bad thing. Max’s excellent review prompted me to pick up this novel, and his post contains links to a range of other reviews and articles about the book. Offshore is published by Fourth Estate. Source: personal copy. 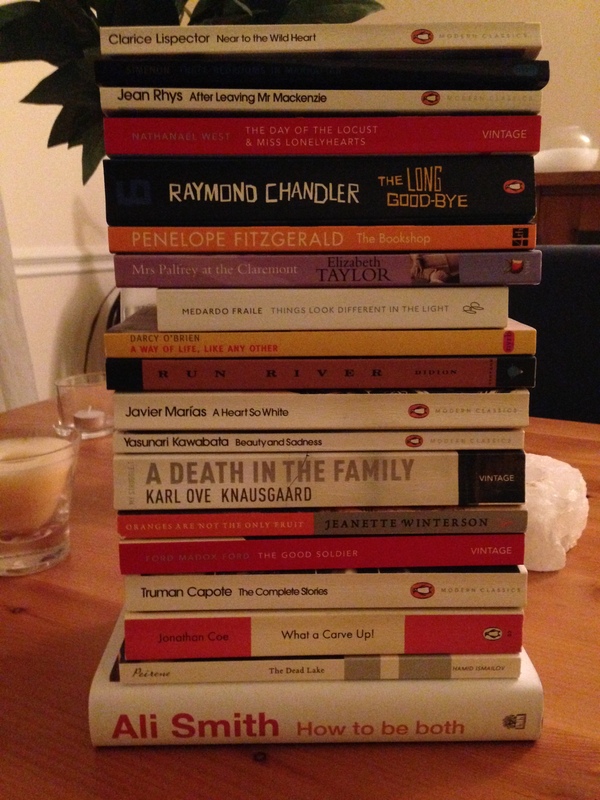 Book 12/20, #TBR20 round 2. 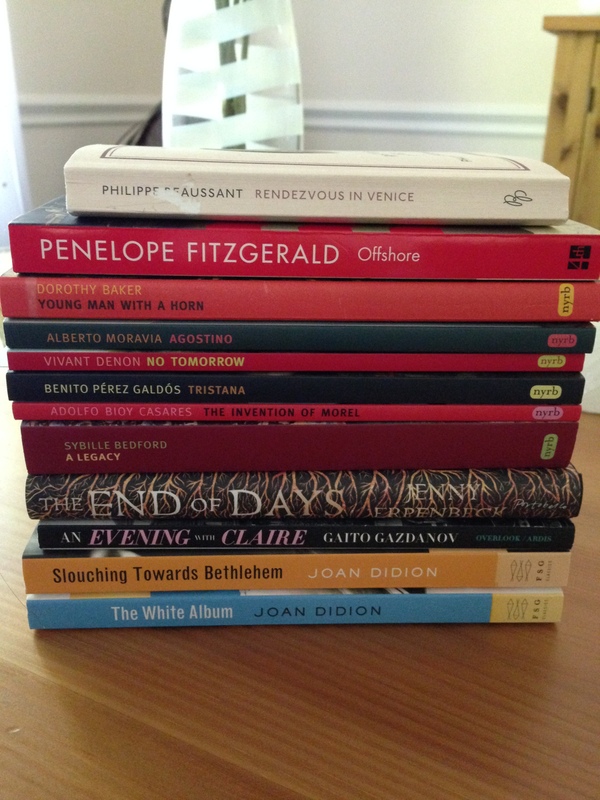 This entry was posted in Book Reviews, Fitzgerald Penelope and tagged #ReadWomen, #TBR20, 4th Estate, Book Review, Fiction, Penelope Fitzgerald, UK on September 30, 2015 by JacquiWine.